Gorgeous, large, three bedroom, three bath, townhouse villa within two blocks of ocean. 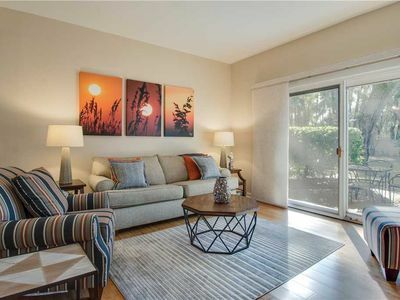 This Non-Smoking, townhouse condominium has been updated and has new hardwood floors and ceramic tile in the downstairs area. Carpet upstairs, new in 2014. 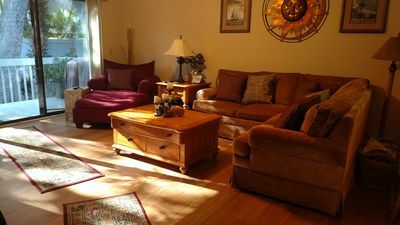 Newer furnishings,living room, bedrooms and dining room furniture. 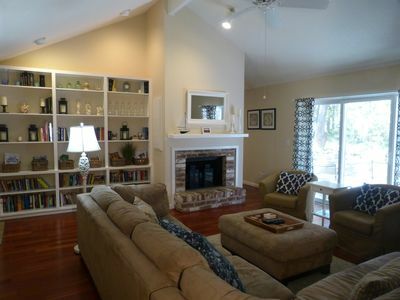 Large entertainment center in living room with 40" flat plasma screen HD-TV, stereo and DVD player. 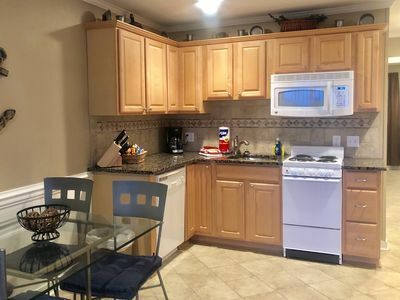 Appliances, include, refrigerator with ice maker, smooth top stove and over the stove microwave, garbage disposal, diswasher and full-size washer/dryer. 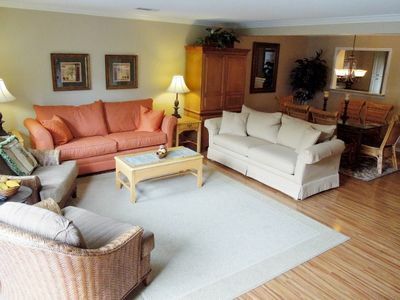 On the first floor, is a master bedroom and bath with queen-size bed. 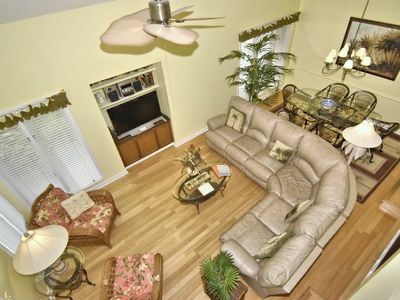 Upstairs, are two additional bedrooms with private large bathrooms. One bedroom contains a queen-size bed. The other bedroom has two twin beds which can be made into a King at your request, as well as a bunk-bed set. All bed linens are luxurious and very comfortable. All beds are equipped with upgraded pillow-top mattresses. There are TV's in all bedrooms. The Living Room and Twin Bedroom also have a DVD player. All linens are provided. The cleaning company provides a starter paper products kit. WI-FI High speed internet is available at no additional charge. You will not be disappointed in this unit. 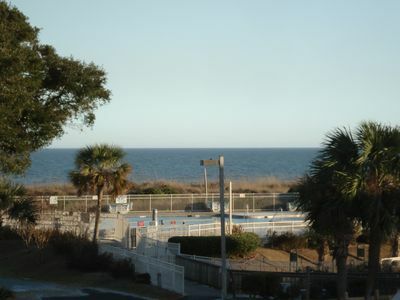 It is very spacious with the largest floor plan in the Ocean Breeze Complex. 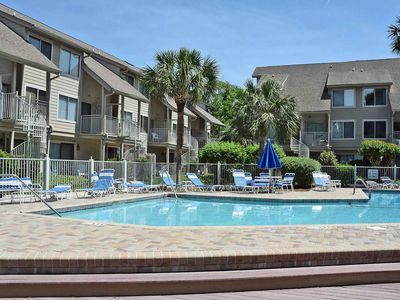 There are three private pools and tennis court in the complex with less than two minute walk. Pools have abundant lounge chairs with either sun or shade. The ocean is a shady two blocks with an attractive access. This is a 'Pet-Friendly' unit and complex, however, we must approve your well-behaved, house-broken pet in advance. We require a statement from your vet showing your pet is up-to-date on rabies shots, flea and tick programs and bordatello shots. Pets must be totally house-broken. There is a non-refundable pet fee. 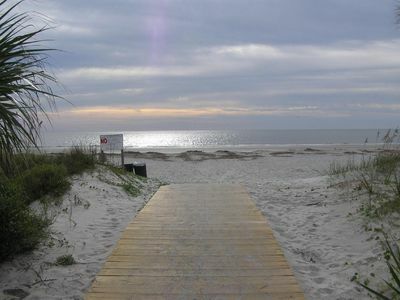 Weekly Rentals are Saturday through Saturday during prime season (Memorial Day Week thru Labor Day Week). There are four “older beach worn” bicycles located at the unit that you may use if you so desire. We try to keep these bikes in as good a shape as possible when we are there. We do this by riding each of them and correcting any issues that we find. As you probably know when bikes have to be left outside at the beach they are subjected to the salty atmosphere 24 hours a day and this is quite rough on them and can cause issues. One of the issues that is quite normal is having to pump up bike tires on a regular basis. There is a bike tire pump located on the inside of the condo in the kitchen pantry. You have to provide the muscle power! You will have to call on your experience gained when you were a kid growing up to try and take care of any issues you might find with these bikes. They are all 26” with no childrens bikes included. If you want nice new bikes as well as a child’s bike you can always take the option of renting them for the number of days you want. There are several bike rental companies within a 2 or 3 mile radius. They normally run about $25.00 each per week. There are several bike rental shops near Coligny Circle. They will also deliver and pick-up your rental bikes there at the condo if you would prefer. There is a “Beach Wagon” there with inflatable tires for you to pull to beach if you desire. 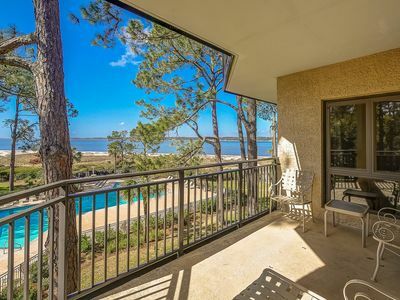 It comes in handy for hauling your beach chairs, coolers, beach shovels, sand-buckets and etc..
08/01/08 Positive This condo is very nice. 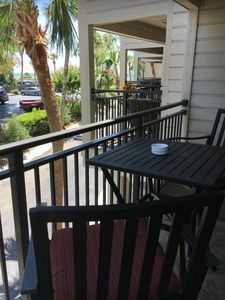 The owners have thought of everything to make vacationers comfortable. I would recommend it to my friends. Everything is in walking distance. The 3 bicycles were very much appreciated. 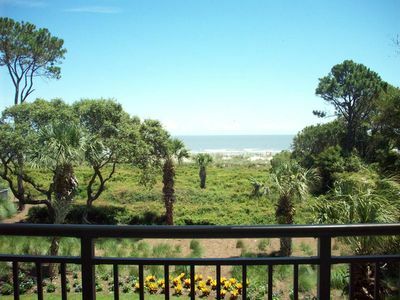 06/24/08 Positive Our family had a wonderful time at this Hilton Head Villa. It is a wonderful 'home away from home' villa and the location is outstanding. 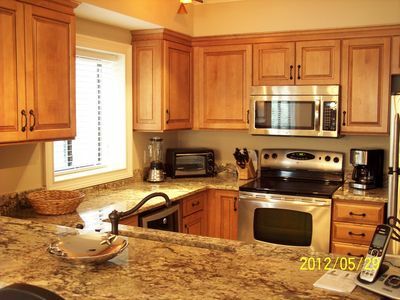 Not only is it very tastefully decorated, everything you need is there for you! Mr. and Mrs. Pitts were very nice to work with and very helpful! IF comparing rates PLEASE consider VERY CAREFULLY. We have ALL taxes and cleaning requirements included in our quoted rate. NO HIDDEN COSTS ! 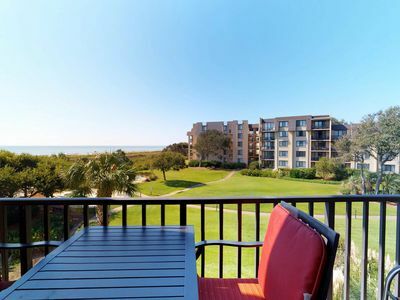 Relax in the comfort of your own condo and view Hilton Head's Beautiful Beaches! 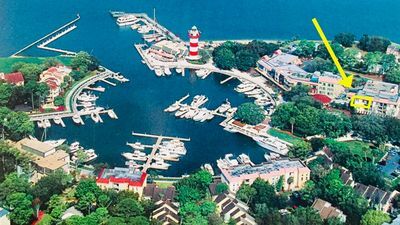 Harbour Town Penthouse at Lighthouse, Shops, Restaurants, Marina! 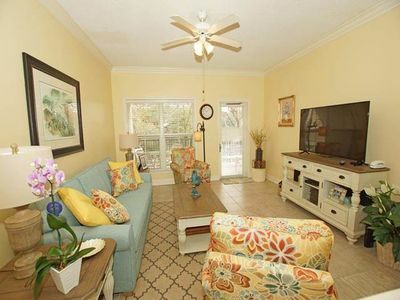 Great villa for your next trip to Hilton Head! 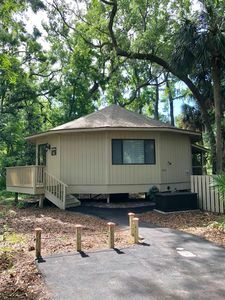 Revamped, Secluded Dog Friendly 2Bd/2Ba Detached Villa - Walk to Beach! 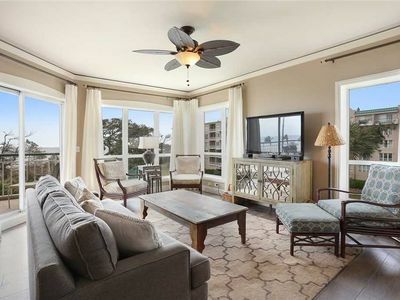 Eclectic and Artsy Beach Getaway, Ocean View. 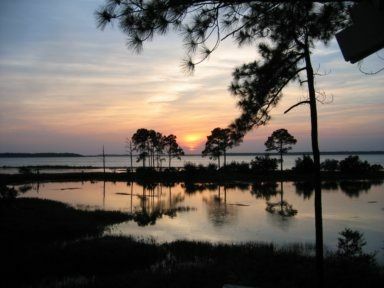 1873 Beachside Tennis ~ Corner Villa with 3rd Floor Views of Calibogue Sound! 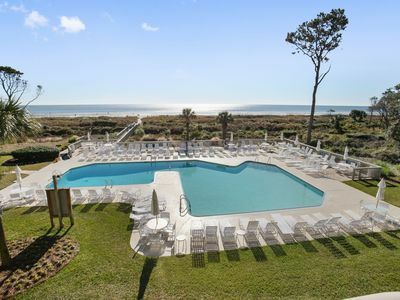 Stay steps from the beach and shared pool/hot tub in an ocean view villa.